Since the 7th century BC, the peninsula inhabitants established a route that went through the southwest to the northwest. This route would become a roman road used by the roman troops when moving to the north. After that it would be called “Vía Mozárabe”, the origin of the actual name. The Via de la Plata then became a commercial, artistic and shepherding route that ended up joining the Way to Santiago as well. 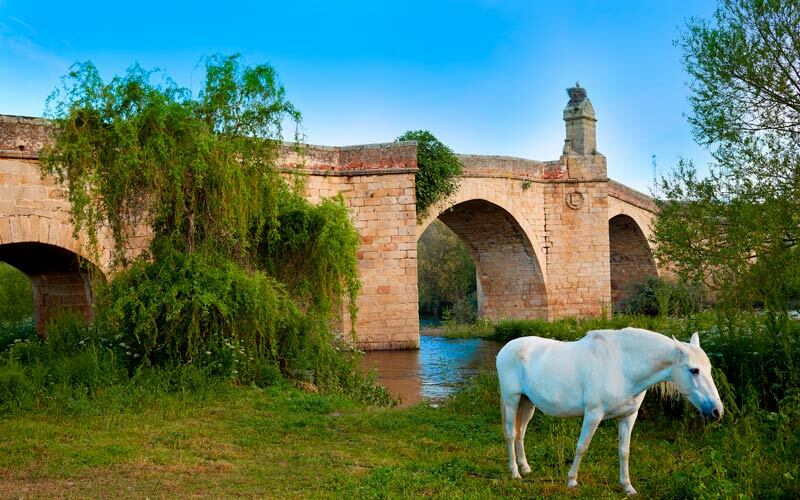 In this millenary route, we can find popular cities like Mérida or Salamanca. But if you do this route, you might also discover many little villages in the Vía de la Plata. These are some of our favorites. Between Plasencia and Coria, we can find Galisteo. This is one of the villages in the Via de la Plata with a roman origin. Located in the mountain, the town has become an excellent viewpoint of the Jerte Valley. Named “Cultural Interest Spot” in 1996, in Galisteo you can visit the wall, the Asuncion church, the Picota castle-palace or the Mayor Square. With 280 inhabitants, this is one of the most charming Via de la Plata villages. Its origin goes back to the Middle Ages and its main work activities are agriculture and the cattle industry. If you go to Granja de Moreruelas you should visit the Moreruela monastery, one of the ancient landmarks of the Cister Order. 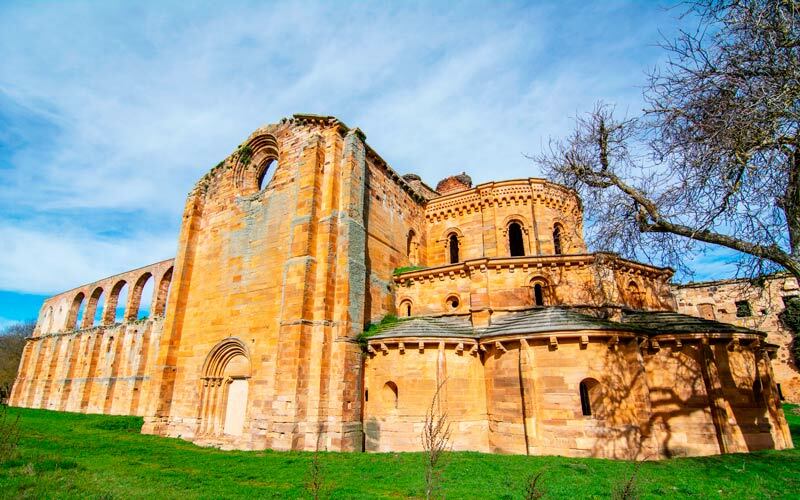 It was built in the 12th century. Nowadays, only some of its walls are conserved. With its prehistoric era vestiges, this village has managed to preserve its history through the years. The romans also left their mark here, just like the Temple Order horsemen. The little town was a donation to the horsemen that were lost after the dissolution of the order. 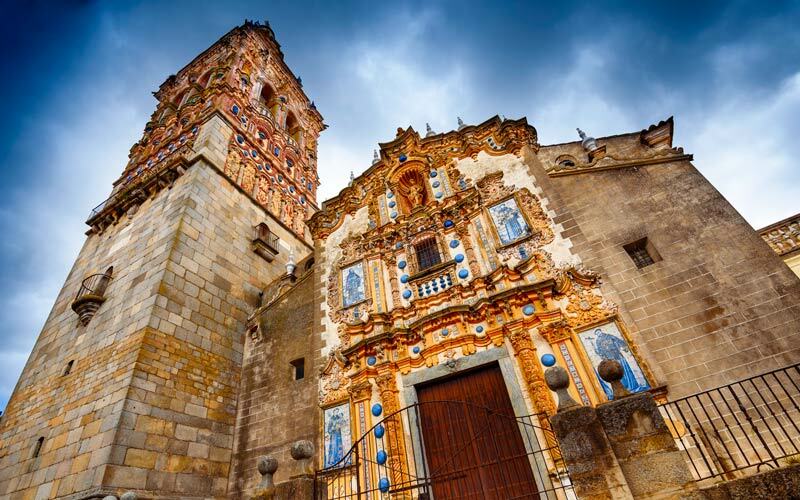 Considered one of the most interesting Via de la Plata villages, Jerez de los Caballeros is one of the most relevant artistic centers of the Extremaduran Baroque thanks to its peak during the the 17th and 18th centuries. As a result, this town was named “Conjunto Histórico-Artístico” (Historical and Artistic Ensemble). The principal characteristic is the nature. 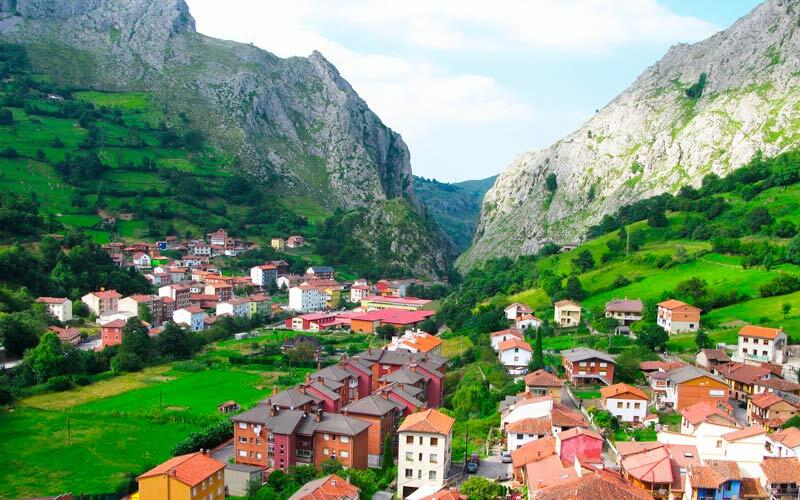 Situated it in the Asturias heart, this municipality is surrounded by hills and valleys, paths and ways, where there are spread out less than 3 thousand residents. Besides the field, Morcín has the Quesu d´Afuega´l Pitu Festival, with origin certificate of the Jacobean route. With all these attractives, it has converted in one of the Via de la Plata villages in our list. If you stumble upon this littile village of 67 residents, you could discover one of its big treasures. 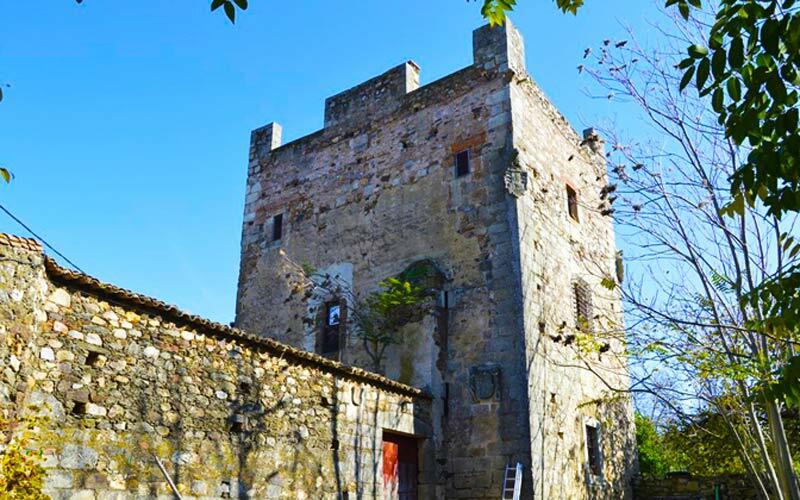 The Grimaldi castle was property of the Grimaldi dynasty. It was built in the 14th century and now is the most important symbol of the village. It was relevant during the Middle Ages because its asylum rights, granted by the kings Alfonso X and Sancho IV.